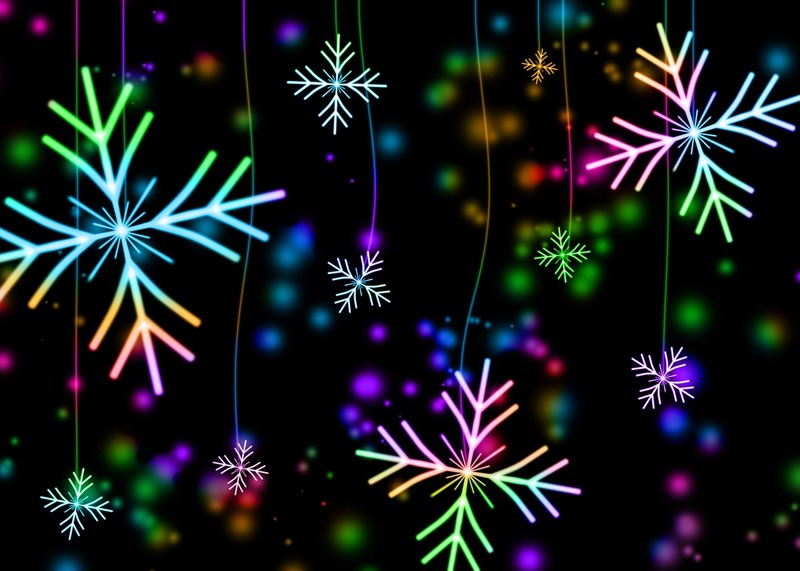 Did you ever notice that the holiday cheer starts pouring as soon as the jingle bells start jingling? But also heard loud and clear are all the reasons we shouldn’t imbibe. There is no safe alcohol intake during pregnancy. All true and good messages. But do you (or your guests) ever feel left out because they don’t drink, or are temporarily abstaining, whether for health reasons, or just for the evening? That’s because the emphasis during the holidays is on the “Cheer”. There’s always club soda with lime, gingerale, a Sprite or Pepsi, but surely we can do better than that! Get Your Alcohol-Free Holiday Cheer Here! This just in: cold,carbonated water actually quenches your thirst better than plain water. Here’s the scientific study in PLOSOne and here’s the easy-to-read summary. I had the pleasure of tasting many flavors of LaCroix at a recent food and nutrition conference (FNCE). LaCroix, where have you been all my life?! I’ve always been fan of plain old filtered water. An occasional Perrier with lime or a splash of cranberry is good too. I’ve found most sparkling flavored waters to be bland. Lacroix is completely different with it’s depth of flavor. The only question is, with so many lucious flavors, which ones should you buy? In addition to the usual fruity flavors like Apricot, Pamplemousse, Mango (personal fav) and Passionfruit, you’ll also find Coconut. Check out their new line, Cúrate inspired by Spanish and French cuisine. Muré Pepino (blackberry cucumber), Piña Fraise (pineapple strawberry and Kiwi Sandía (kiwi watermelon) can help your mind slip back to summer. 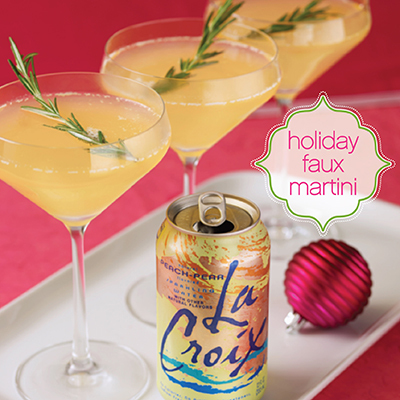 Get inspired with these holiday mocktail recipes on LaCroix.com. 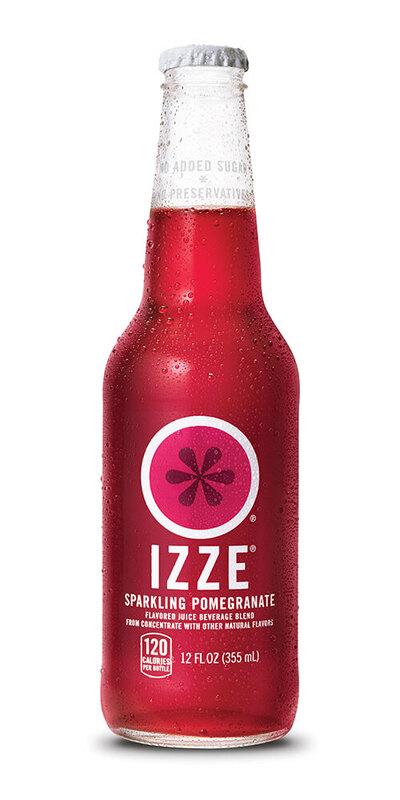 These Izze Sparkling Juices have no added sugar, no artificial color or flavor. Just pure juice, sparkling water and a few added vitamins. Among the flavors you’ll find: Sparkling Grapefruit, Sparkling Blueberry, Sparkling Clementine, Sparkling Peach, Sparkling Blackberry and Sparkling Pomegranate. Any of these would look just fine in a martini glass with a zest of orange or lemon. 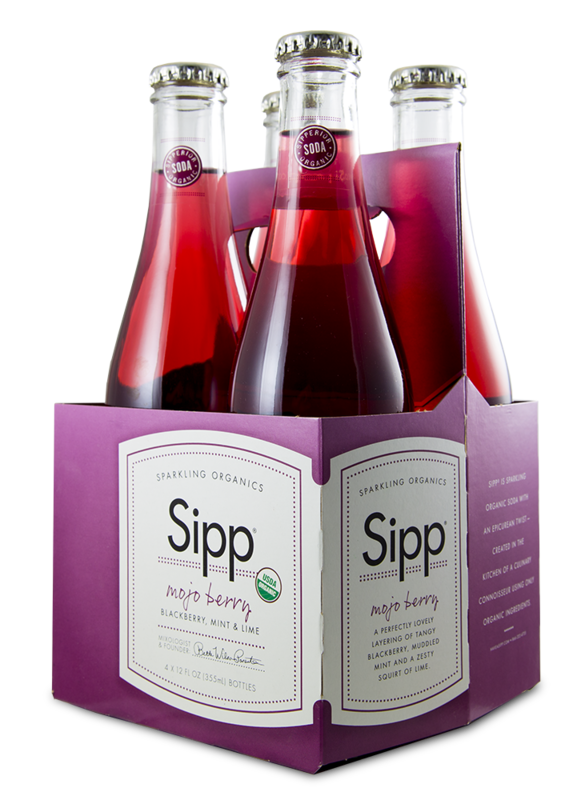 At the recent Natural Products Expo, I met the Founder of Sipp, Beth Wilson-Parentice. (You should read her story of how she started the company–very inspiring!) Beth was patient with me as she poured me samples of her divine organic bubbly. I couldn’t decide which I liked best. I’m sure you’ll feel the same. 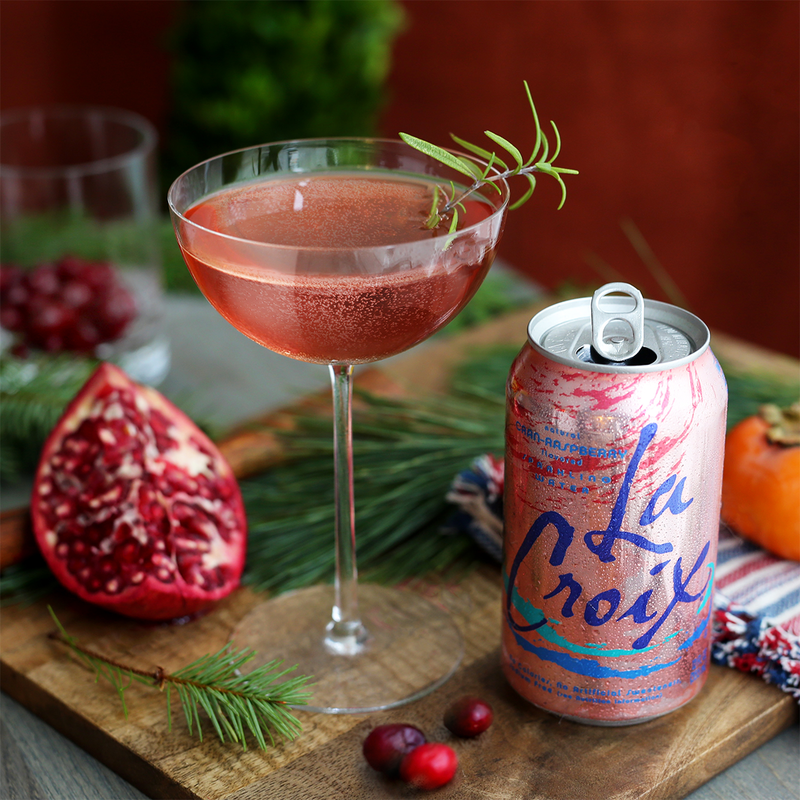 Made with organic agave and natural flavors, you’ll feel just as festive as the drinkers around you while sipping SIPP, especially if you pour it into a pretty cocktail glass. With flavors like Ginger Blossom, Mojo Berry, Lemon Flower and Summer Pear, you may be hard pressed to be able to choose just one. These sodas are truly gourmet. Each soda contains 100 calories and contain 21 grams of sugar per 12 oz bottle. Get your holiday cheer the Jamaican way, mon! When everyone else is holding a longneck, you might feel a bit lame gripping your can of soda. Enter Reed’s Ginger Beer. Handcrafted from an old Jamaican recipe, it’s made with ginger, pineapple, lime and lemon juice; honey and sugar. To top it off, ginger is a proven natural digestive aid that helps nausea too, and has been tagged a superfood due to its possible ability to stave off cancer, osteoporosis and even Alzheimers. (Of course, ginger is a well-known help for morning sickness. Reed’s also has a Natural Ginger Nausea Relief brew, which has added B vitamins.) Each 12 oz bottle has 130 calories, 33 grams of sugar and 17 grams of fresh ginger. Note: This is not a sponsored post, but does contain Amazon Affiliate links. Thanks for your support! « Food Safety Mistakes to Avoid!